I had hoped to continue the profiles of some of the National Parks and Reserves, but the pull of Australia Day brought me back to how fortunate we are in our communities to have so much. I hope that you enjoyed a day off to celebrate Australia Day. We are fortunate to have so many fantastic people within our communities who are willing to volunteer their time to causes that benefit our community….and gee, we live in the best country in the world! Think of Australia as a big family. Some are staunch, some are ‘interesting’, some are just embarrassing and some you would probably prefer to catch up with once a year, but whether we like it or not we are all in this together. Regardless of where you come from or if you are good at sport, or a musician, or both, neither, or if you are a Neil Diamond fan (yes, he is still alive), as long as we have an appreciation for our differences, we are strong, together! Over that last year, I have been privileged to meet some amazing, talented people. Some would be seen by many people as somehow knowing the answer to everything, just because we see them and they have thousands of followers on facebook or twitter. That is crazy! Sometimes the most amazing and life changing moments aren’t caught on camera, or should be. Sometimes the most amazing people who have changed lives won’t receive medals and awards on Australian day, but they, as are most of our award recipients, don’t volunteer or contribute to our community to receive an award. They do it because they want to contribute to their community, and whether they receive recognition or not, they just want to make our town, our country and our world, a better place. 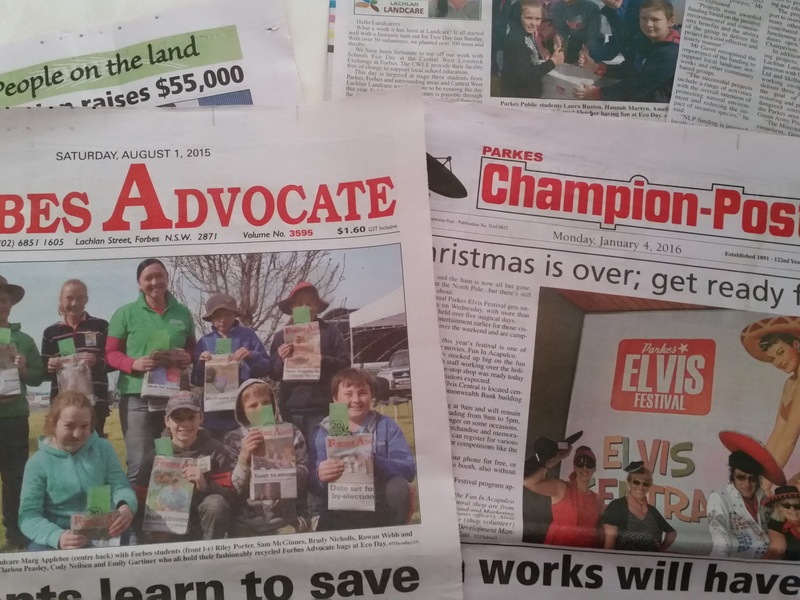 Central West Lachlan Landcare have been blessed to have the assistance of so many fantastic volunteers over the past twelve months (young and old and in between). If you have been wondering where you can contribute some extra time and be involved in something that you are passionate about, go and contact a local group. We have had a hot, steamy summer in our area and many may say that it is just a cycle and we will cycle back to ‘normal’ conditions in the next couple of years. What if we don’t? Why should we take the risk on behalf of our future generations? Do you want to be the one that explains to your grandchildren or great-nieces and nephews that you couldn’t be bothered just doing something as simple as recycling to ensure that they get to enjoy some of what we have to enjoy. We have fantastic farmers and researchers and a several government departments working away to increase the health of soils and productivity, and generate ‘green’ energy, but if people are not willing to make some small changes on the ground, it will continue to be an uphill battle. 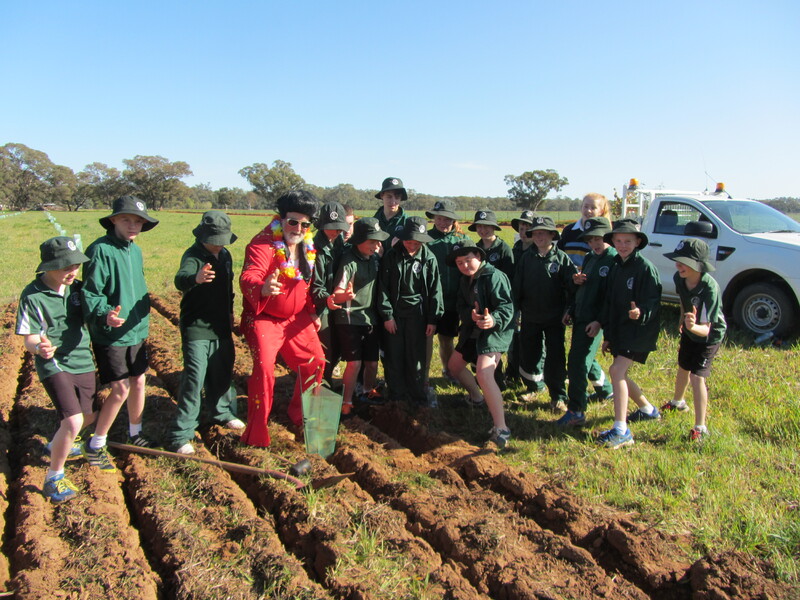 Central West Lachlan Landcare, in conjunction with our Skillset Green Army team will be working hard to continue extending our local wildlife corridors during 2017 and we will be holding National Tree Day in July and other local events. We would love you to join us to make a difference. In summary, be grateful for what you have (someone else will always have less), contribute back to your community…..and don’t expect an award for it. Just do it because you want to make a difference.